Steps to get map working on Android. 1. Download the Google Play services. Goto Windows. Goto Android Sdk Manager. Choose Google play services under extras. If not installed install the package. 2. Copy the google-play services_lib library project to your workspace. The library project can be found under the following path. Click File > Import, select Android > Existing Android Code into Workspace, and browse the workspace import the library project. You can check if it is library project. Right click on the library project. Goto properties. Click Android on the left panel. You will see Is Library checked. 4. Create your Android project like normally you would do for other projects. 5. 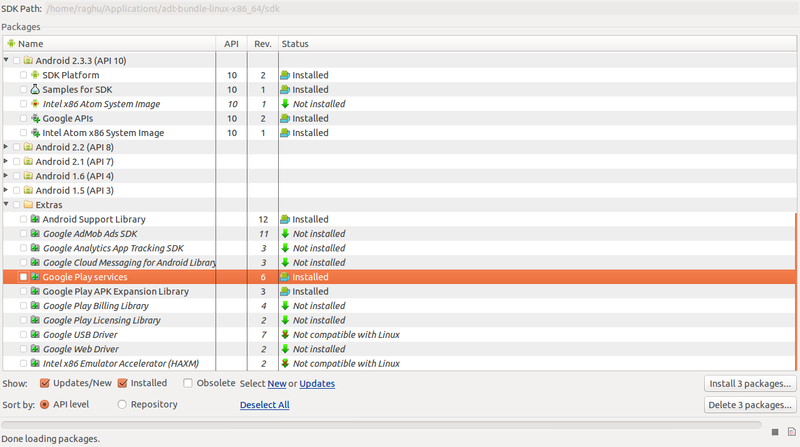 You need to refer the google-play services_lib library project in your android project. Right click on your android project. Goto properties. Choose Android on the left panel. Click on Add and browse the library project. Select the same. Click ok and apply. 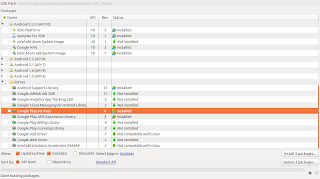 If you are using Eclipse with ADT, and you're not sure where your debug keystore is located, you can select Windows > Prefs > Android > Build to check the full path, which you can then paste into a file explorer to locate the directory containing the keystore. 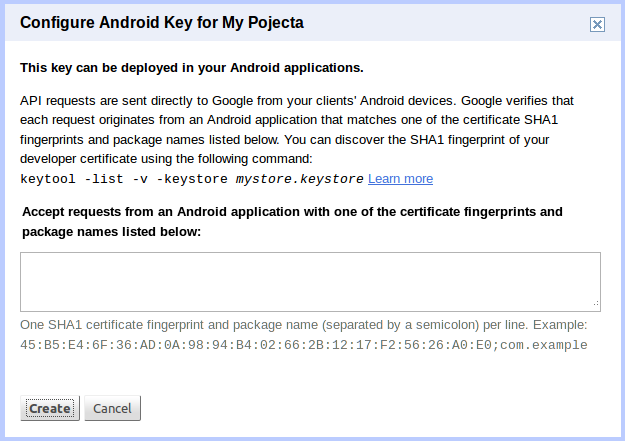 keytool -list -v -keystore "C:\Users\your_username\.android\debug.keystore" -alias androiddebugkey -storepass android -keypass android. The line that begins SHA1 contains the certificate's SHA-1 fingerprint. The fingerprint is the sequence of 20 two-digit hexadecimal numbers. Click on the create project. On the left you can see API Project. You can click the drop down list and rename it to whatever you like. Click on the services. Scroll Down the list and look for Google Maps API V2 and Google Maps Android ApI v2. Enable the same. 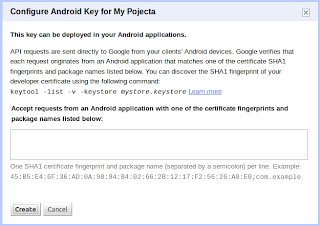 Add the fingerprint along with your android project package name. Note: You package name is seperated by a semicolon. Click On Create. You should the above window. Copy the API key for later use. 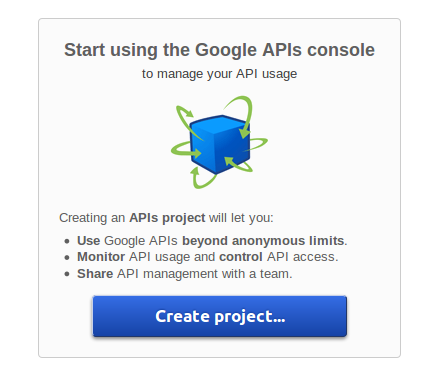 The final step is to add the API key to your application. It goes in your application's manifest, contained in the file AndroidManifest.xml. From there, the Maps API reads the key value and passes it to the Google Maps server, which then confirms that you have access to Google Maps data. In the above permission you need to replace com.example.mapdemo with your project package name.